Robin recently wrote about bringing light into the world and how doing so is a moral obligation. I was thinking about that while listening to a television commercial. The advertisement was describing autumn as the “season for doing.” That in turn got me thinking about ways all of us can take action to create more light. Light to help people in need or in despair. Light to serve as an example for others and create a greater good. Light to guide our family, friends and colleagues. Light to make our corner of the world a better place. 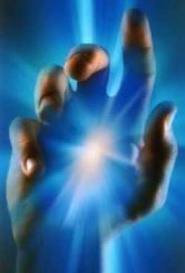 Light to enhance or restore relationships. Imagine if each of us, every day, did at least one thing to brighten someone’s life or improve our world – in big ways or small. 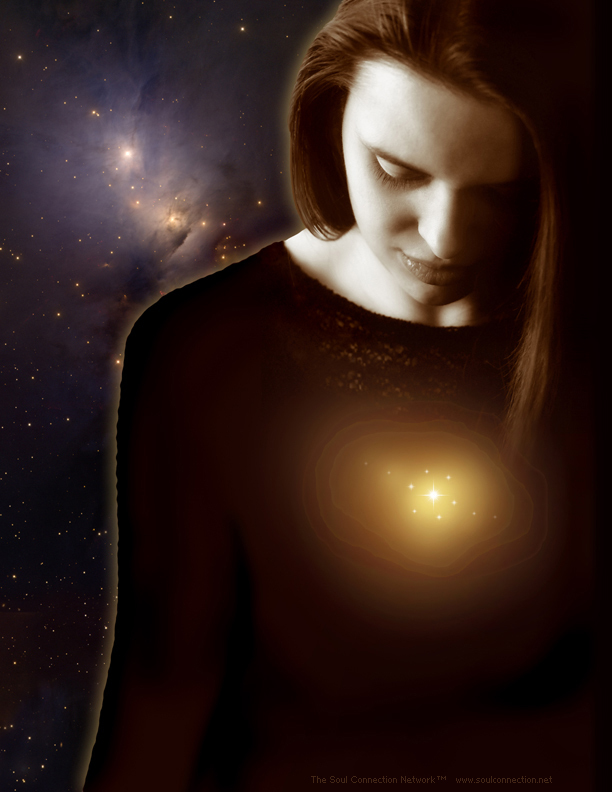 Imagine if the light within us was used more consistently and purposefully. Imagine how doing so would add meaning and fuIfillment to our own lives. Creating light is a life choice that creates a better future. How are you creating light? How can you turn on your high beams? How can creating more light be integral to your season for doing? As I prepare for the High Holy Day season, beginning later this month with Rosh Hashanah, I contemplate myself and my life in an attempt to do better. This is what is demanded of Jews during the month before the Jewish New Year. The truth is, it is demanded of us every day, but our focus turns most fully to this as we make ourselves ready for a new start. A tool that I have found very inspiring for the last several years is Jewels of Elul, a series of writings put together by musician Craig Taubman. I wrote of this last year, and as we are once again in the season, I want to share an inspiration with you that I received this year. Each year has a theme, and this year’s is The Art of Seeking Light. Fascinating enough that seeking light can be considered an art. Much like the heartisan, the one who seeks to better the world through the devotion of his or her heart, there can be an art to seeking light as well. I wondered about the relationship between light and moral purpose. Each of us is born with light, each of us carries light. Sometimes we say of someone, “When she walks in, she lights up the room.” But what of light as a declaration of moral purpose? Perhaps what Rabbi Lowenstein is getting at is that it is great for us to bring our light when we want to, and for some it can even be fun, perhaps a social expression, but to continually choose to bring light into the world, particularly when those around us poo poo it, or when the times around us are dark, is reflective of a strong commitment to one’s morals and to ensuring that wherever one walks, so too does that moral conviction. We all know of people who stamp on ideals, visions and dreams. We all know those who would rather we speak gossip with them than hold our tongue, or would rather see us join them in corruption instead of us doing what it right. Each time we make that choice, according to Lowenstein, we are bringing light into the world. No matter what your faith or spiritual practice, I wish you renewal and light as we begin this fall season, and a hope that you can hold on to your light and radiate it strongly, particularly this weekend as we remember the people and events of 9/11/2001. Labor Day weekend is the occasion of the Muscular Dystrophy Association telethon. For forty-six years it had been hosted by Jerry Lewis, who also served as chairman. 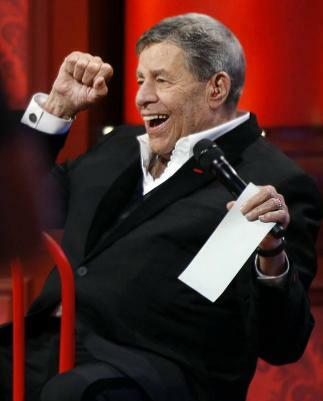 This year, the MDA abruptly switched formats and Jerry Lewis was out. Over the years, he helped MDA raise over $1 billion. His unceremonious “retirement” made me think about how we say goodbye to people, and how we can do so with dignity and honor. Jerry Lewis is a comedian with a big heart. How could MDA have handled this better, with a heart equally as big? It could have said farewell by honoring him, bringing back guests who have joined him on the telethon, and offered testimonials recognizing his enduring commitment and contributions. Instead the new hosts, absent Lewis, offered a couple platitudes. How do you say goodbye to people? What do you do when a relationship is over or has run its course and you wish to make a change? Is it filed with acrimony? Are people hurt? Is it done with sensitivity? Is the relationship and what it meant over time honored? Or is it dismissed? How we say goodbye says a lot about who we are and our values. How do organizations with which you may be associated say goodbye? For example, when someone is laid-off, a contract not renewed, or a major change is made. What values does it display? It may be true that nobody is indispensible, but how we treat them at the end can leave a lasting, sometimes stinging impression. How we say goodbye speaks volumes about us. Our times are difficult enough that we need not add indignity and unnecessary pain to what may by its nature be a hurtful situation or decision. When you feel compelled or need to, how can you say goodbye to people in a way that demonstrates respect and dignity, and preserves their sense of self-worth? The concept of paying forward a good deed is familiar to us. It was brought to light beautifully in the film that coined the term, Pay it Forward, starring Helen Hunt and Kevin Spacey. The premise is to do something for three people that makes a positive difference in each of their lives. The recipient of the good will then goes on to offer their service to three others. It is a loving, foundational concept in affecting the world for the better; to receive someone’s good intentions and pass it on times three. But what of paying it backward? What of being the recipient of someone’s gifts – their time, wisdom, and energy – and acknowledging them for the difference they made in your life? Are we cognizant of the “thank yous” that we need to say to people who made an impact in our lives? I was speaking with a friend about some of the people who played a significant role in helping us to develop into the people we are today; people without whom our lives would have taken very different paths that would have been less rich and fulfilling than they are now. We spoke of the fact that some of those people do not know how significant they have been in helping to shape us and affect our lives for the better. I imagine that all of us have at least one person in our lives that has played such a role. It may have been a college professor or a teacher from your earlier years. Perhaps it is one or both of your parents. You may have a friend who was there when you needed him or her. Maybe you were inspired by a spiritual leader, or a colleague at work or in your professional field. It might have been someone you knew well or met only once. Who are these people? Have you taken time to identify them? If they don’t know of the impact they had on you, this is a great time to tell them. A while back I wrote two blogs acknowledging one of my former teachers, Angela Thoburn, who was incredibly instrumental in guiding me to establish a foundation and path for my life. It had been twenty years since we had been in touch, but in writing those blogs I felt it important to invite her to read them so she would know of the difference she made in my life. It was my way of saying, “Thank you” to her. Since we had both moved since we had seen each other, I had to find her first. I didn’t know if the contact information I had for her was current, but I gave it a shot. It turned out that my communication reached her, and she responded with such appreciation for the acknowledgment. So often in life we go without knowing where we have made a contribution. We all need to know that we have made a difference. How will I find them? What if they don’t remember me? We had a falling out. I don’t know how I feel about opening that door again. Oh my goodness, this is embarrassing. I have been out of touch for so many years. I am not so comfortable expressing my feelings. My experience is that the response you receive will be one of gratitude and appreciation. You will recognize that your action is giving a gift back to someone who has given one to you: paying it backward. It may guide you to think, “Gee, why did I wait so long to do this? It was so great to connect and to share my deep thanks.” And the gift continues to give to you both. There are some people to whom we cannot express our thanks. The individual is no longer alive or the situation makes it impossible to seek them out. In cases like this, we can still acknowledge the source of the gifts in our lives, but instead of paying it backward to the source, we can pay it forward to someone else, or better yet, to three others. Perhaps there are family members of the one who touched your life that you can approach. Or you can take the tact of Pay it Forward’s Trevor McKinney and find a way to pass on the gift that you have been given to others entirely. Whether you are paying it backward or paying it forward, you will simultaneously make a personal acknowledgment to an individual who made a difference in your life, while you continue to make an impact for good in the world around you. Visit our website: FindFulfillFlourish.com. Take the FREE Guiding Values Exercise. Give us feedback. For many, being a leader means to be popular, to be admired by others and even to become a model for success stories. However, the true implications of a leader involve being completely responsible for successes and failures and acknowledging and assuming the responsibility for the consequences of actions, decisions, policies and commitments. Leadership and accountability are two sides of the same coin. The duty of being accountable is linked to the leader and his/her duty to assume the responsibility and to be answerable for both positive and negative consequences and outcomes. The leader does not delegate the responsibility to others, to the past, to ignorance (by claiming to have been misinformed) or to put the blame on any other reason. The CEO or figurehead of authority represents and is responsible for the entire company: its financial performance, the quality of the resources, products and services, the partnerships, employee health and security and the social and ethical responsibilities to name a few. He/she needs to be surrounded with colleagues of high quality and integrity and that can assume their share of the responsibilities. The technicians, professionals, managers, the clientele representatives who are responsible for providing the best possible service to clients (efficient and respectful answers and within a reasonable delay) or any other individual within an organization is expected to be accountable within their scope of the role and responsibility. These past weeks in the news, I noticed two cases that demonstrate different levels of accountability by figureheads of authority. The first one is inspired by the current state of the roads and bridges in Quebec and is an example of a lack of accountability by political leaders. The second case involves the decision made by a President towards his clients following an incident caused by a crisis in management. This last case demonstrates an impeccably assumed accountability on the part of the figurehead of authority. The case of the road incidents in Montreal: The opposite of accountability?! A few weeks ago, a block of cement from a bridge collapsed on one of Montreal’s main highways that passed through the city center. Fortunately no one was injured. This incident is one of the many manifestations of the city’s crumbling infrastructures and it sparked many comments from the political leaders that were directly and indirectly involved in the crisis. I have put forward a few of these comments for you to decide whether or not these are demonstrations of accountability by the figureheads of authority involved in the problem. According to Sam Hamad, the Minister of Transport, the Ministry was encouraged to take concrete actions to solve the problem following the recommendations by the construction firm SNC Lavallin. (Since 2008, the Ministry of Transportation of Quebec was not able to find any contracts for the solidification of the Ville-Marie Tunnel). The Ministry of Transportation blames a private contractor to have weakened the supporting structure that reduced the glare for drivers entering the tunnel. The Bloc Québécois denounce the inactivity of the Charest government in the administration of Montreal’s roads. 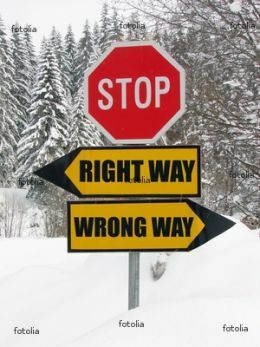 In the case of the Montreal road incidents, the political leaders are examples of figureheads of authority ignoring their duty of accountability. They promise that measures will be or are being taken to solve the problem; they put the blame on others, on the consequences, on the lack of resources or the mistakes of predecessors instead of admitting their own mistakes. Being accountable is to feel and assume the responsibility for the consequences, the efforts made or the lack of efforts made. The duty of accountability is to know when to admit and to acknowledge a failure. Those who are responsible for a problem are automatically accountable even if they did not cause it! The case of the online company Airbnb. This case demonstrates an assumed accountability by the President of Airbnb, an online company connecting people that are searching for a short, medium or long term accommodation with owners who are looking to rent out their home. In the month of June 2011, the home of a host was vandalized by a guest that had rented the accommodation through the services of Airbnb. The weeks following the incident, the co-founder and President, Brian Chesky wrote a letter to his clients apologizing for the poor management of the situation and admitting that the company did not assume its responsibilities during the crisis. However, he quickly made sure that the problem would not reproduce itself by applying the appropriate actions. With regards to EJ, we let her down, and for that we are very sorry. We should have responded faster, communicated more sensitively, and taken more decisive actions to make sure she felt safe and secure. But we weren’t prepared for the crisis and we dropped the ball. Now we’re dealing with the consequences. In working with the San Francisco Police Department, we are happy to say a suspect is now in custody. Even so, we realize that we have disappointed the community. To EJ, and all the other hosts who have had bad experiences, we know you deserve better from us. We want to make it right. On August 15th, we will be implementing a $50,000 Airbnb Guarantee, protecting the property of hosts from damage by Airbnb guests who book reservations through our website. Other measures are also being implemented, these include: a 24-hour customer hotline, twice as many employees in the customer support team, the establishment of a new department dedicated to trust and safety and the ability to directly contact the CEO at brian.chesky@airbnb.com. Thank you for being part of Airbnb. In the message, M. Chesky completely recognizes his responsibility in the incident even though he was not the direct cause of it. He apologizes to the victim and to all the company’s users, whether or not they have been victims of vandalism. He also openly acknowledges and identifies the flaws in his organization and presents measures that are and that will be implemented to improve his company for the benefit of every individual. Mr. Chesky recognizes his accountability towards his clients, employees and the San Francisco community. By recognizing the mistake and authentically apologizing for it. By recognizing the consequences and those affected in the process. By concentrating efforts on actions to be taken rather than on finding excuses, apologizing or lingering on the initial emotions of deception or on the individuals affected by the consequences. By presenting the actions that will be taken to fix the situation and to prevent it from being reproduced. By speaking of the problem in the first person and not by hiding behind the “we” of the organization or by putting the blame on others. The ability for a leader to authentically acknowledge and assume their accountability in a situation inspires confidence and encourages the search for solutions. The opposite of accountability is when the individual responsible discharges their responsibility on others and blames the consequence on the circumstances. 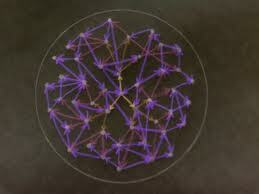 This wears down the confidence in the leader and can create a lack of mobilization for the solving of the problem. The duty of accountability is valid for successes as well. Sharing successes with colleagues and collaborators can develop a sense of collective efficiency within the organization. The duty of accountability can be a synonym for leadership. The two cases above demonstrate that accountability is an essential quality of those who put their leadership into practice. The leader needs to recognize his/her accountability in the practice of leadership and his/her responsibility for the consequences of the decisions made, the actions implemented and the commitments taken within their team or organization. Authenticity is about being genuine and presenting yourself for who you really are. I’ve been thinking about this since I returned from vacation in Breckenridge, Colorado. 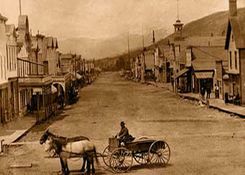 Breckenridge is an old gold mining town that reinvented itself in the 1960s as a ski resort. Many of the old structures along Main Street date to the late 1800s and the community is committed to historic preservation. At an elevation of 9,600 feet and with peaks approaching 14,000 feet, the air is thin and most of the people on the streets are tourists. My wife observed that very few of the women were wearing makeup, which contrasted with many other places we have vacationed. Breckenridge has a laid back atmosphere and appeals to middle-class families, young adults, and retired people. Very few seemed to be putting on airs. People seemed to just want to relax, let their hair down, and get away from the hectic lives they live elsewhere, including the people who work there. It’s like a haven for just being yourself. These perceptions kept bringing me back to my wife’s observation about makeup. I appreciate as much as anyone how makeup enhances one’s physical appearance, reflects personal pride and a desire to be at one’s best. It also may help some feel better about themselves. It also occurred that there is another kind of makeup. It’s the appearance people often put forward to create false impressions – to present themselves as something other than who they really are. We may do it at work, with friends, with family, with anyone we are trying to impress; and perhaps at times we believe being our authentic selves won’t be sufficient. There is a feeling that sometimes we need to be someone other than who we truly are. Do you find that for yourself? That you are pretending? That you have put makeup on your persona? That you are not being your true self, for whatever reason? When you catch yourself in those moments, stop and ask, “Who am I really and is my presentation of myself aligned with it? Live your beliefs and intentions. That’s authenticity. That’s personal integrity.